I have a confession which may shock you... I am a beauty blogger than only owns two Charlotte Tilbury lipsticks. Nope, I don't know whats going on either (and I'm on a mission to right this wrong) but recently the duo I own have been in my daily rotation a lot. The shades are both gorgeous this time of year so I thought they were worth a mention. If you're not familiar with Charlotte Tilbury then let me fill you in. She is an amazing celebrity make up artist who a few years back released a range of beautiful, rose gold packaged products. I was lucky enough two years ago to see Charlotte do a talk in Brown Thomas (Dublin department store) when she was releasing her Christmas products that year. From that moment on I just loved her all the more. The passion she showed when talking about developing her line was amazing and she really is an inspirational lady. 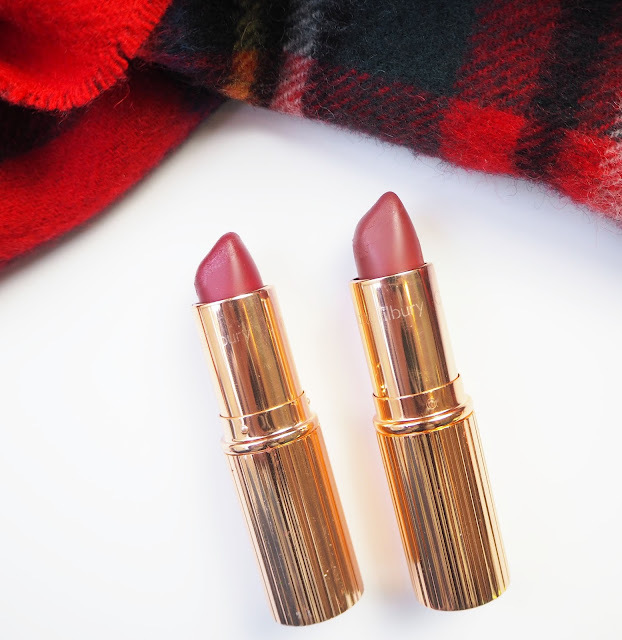 Anyway, enough of my heart eye emoji over Charlotte Tilbury, lets get on to the lipsticks. Both are from the 'Matte Revolution' range- a comfortable, creamy, matte formula which is to die for. They are £24 each which I have to admit is probably the most I would spend on a lipstick but they really are beautifully packaged and well worth the splurge if you fancy treating yourself. Oh and they have a delicious vanilla scent! I have the shades 'Love Liberty' and 'Bond Girl'. Love Liberty is a gorgeous purple, pink, berry shade which I always get out this time of year without fail. My favourite way to wear this one is with a bronze, smokey eye, it just looks beautiful. 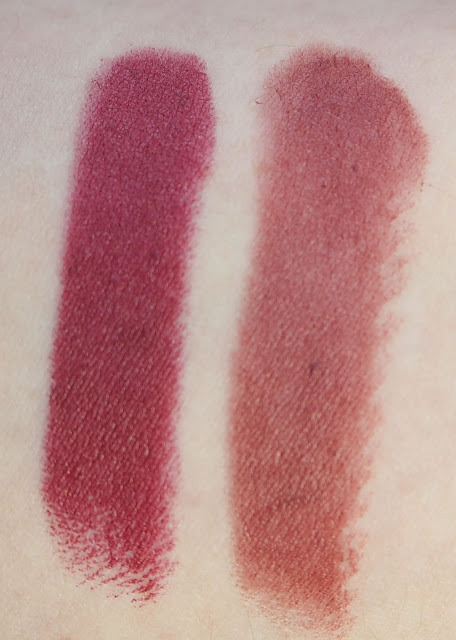 Bond Girl is more of a recent purchase for me and I would describe it as a burnt red shade, I always think it looks like a shade you would imagine when thinking of Autumn leaves. Personally I have been using Bond Girl more as a day time lipstick as even though its red its a little more muted making it super wearable. 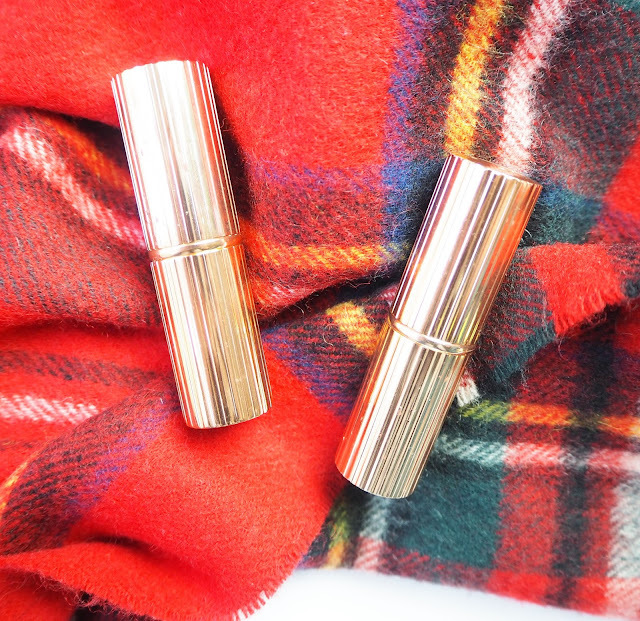 I think its about time I expanded my collection of Charlotte Tilbury lipsticks so please leave a comment down below of which shades you love!